CompCorrect employs several computer troubleshooting techniques, reducing your overall computer downtime, support costs, hassle, and worry, while you concentrate on increasing your efficiency, communication, productivity, along with employee satisfaction. The sudden rush of stress you get when computer systems are failing can ruin your day, and in the long term, your business. Whether you have a few computers or a lot of them this can be a great all-in-one solution for you and your business. Every day we come across small issues that can have a great effect on a productive workplace, so we have engineered a way to take proactive measures in preventing and fixing problems quickly and efficiently. What is Complete Managed IT? How important is the data of your operations to you? We will take measures to make sure that your network is as secure as possible by creating a security policy and implementing it by using firewalls, VPNs, intrusion prevention systems and use AAA (Authorization, Authentication and Accounting) servers to validate user credentials. You can’t afford data leaks, so we’ll do what we can to stop them. Our RMM (Remote Monitoring Management) software will remotely monitor your computers to make sure that hard drives, software, backup systems and ports are up to date and operating properly. This allows us to identify and fix problems before they become catastrophic. While you concentrate on increasing your efficiency, communication, and productivity along with employee satisfaction, we’ll employ several computer troubleshooting techniques. Reducing your overall computer downtime, support costs, hassle, and worry. We’ll make it possible for your employees to work on the task at hand as much as possible. Taking the right measures, we’ll be able to increase the speed of your systems and your network. Allowing for faster speeds will make getting important work done quick and easy. Our approach is to implement a lean, scalable solution with a proactive approach to problem solving that keeps your systems operating at peak performance. When requesting a consultation, we are not a “pick your plan” company. We’ll evaluate and customize what services your specific business needs with business continuity being the main goal. Our Complete Managed IT service is something for every business. Instead of hiring an IT department, you can pay for just what you need. Why spend money on all the things you don’t need when you can cover all your bases with a lower cost and have services in place to prevent those annoyances as well. Many of our business services can help bring overall productivity to a max in a simple, yet powerful way. Our simple solution to complex problems. It’s a well known fact that companies lose productivity when a system malfunctions. Our Remote IT Services can lower costs, and save time all while giving us complete control to fix on-the-spot issues with computer systems. 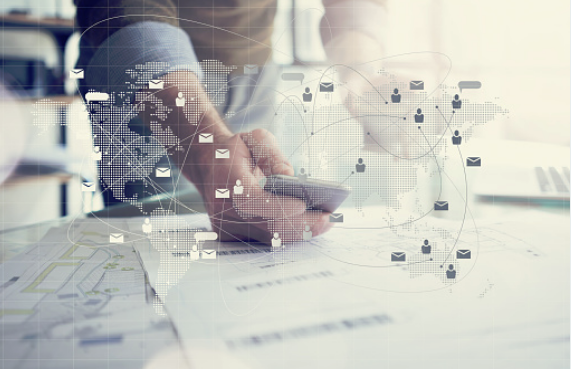 Single click connection allows us to control your system no matter where you are in the world as long as the system is connected to the internet. In short, this allows us to fix a wide range of issues remotely without having to be physically at the machine. 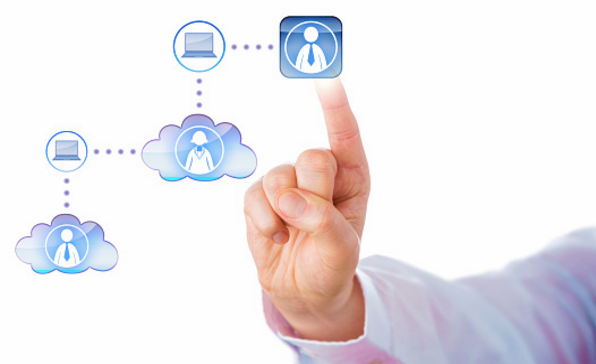 How are Remote IT Services beneficial? The ability to solve problems quickly and efficiently, with minimal downtime as possible. Allowing you to get back to work quickly and efficiently, saving the company downtime & lost productivity. This Remote IT method allows for minimal actions of the End-User. We are able to remotely wake-up devices using other devices on the network. Files of any type can be transferred for use with any type of troubleshooting necessary. Real-time chatting is also available for quick communication with the end-user. This means we can completely customize the experience, fixing problems quickly and more effectively. We can change bandwidth settings so the performance of your network isn’t adversely affected. Remote IT acceptance can be custom per user. This means only allowing connection based upon whether the incoming Remote IT session was accepted or declined. Truly an all-in-one service that can help speed troubleshooting and correcting problems faster & with less frustration. Suited to fit your needs and to be beneficial for all parties involved, our services can be performed in either a fast-paced production environment or a simple no deadline kind of atmosphere as well. With the modern benefits of remote technology, we can deploy several services from anywhere in the world to keep things running as expected. Anything from a quick fix, to Complete Managed IT can be done remotely, and very efficiently. Infected with a virus? Unsure whether your existing antivirus software has detected and removed it? Still having problems and unsure where to turn to next? Millions of users every year running Windows, Mac, Android, and several other operating systems are affected by malicious software and viruses. Using cutting-edge technology including our enterprise-grade software, we eliminate all types of malicious software on your computer—including viruses, spyware, rootkits and junk-ware—and return it to a working state. We utilize a complex malware scanning platform powered by 68 anti-malware engines. Once completed, we repair the operating system and update all necessary software to ensure security patches are up to date. With virus removal being our most popular service and commonly seen issue, we’ve narrowed this down to a science. A Virus, Malware, Adware, Spyware, Rootkits, Ransomware!? I thought a virus was a virus, what’s this all mean? 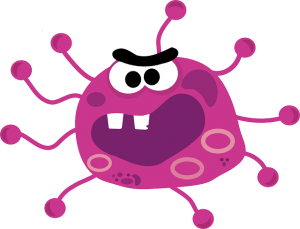 “Viruses” have many different classifications nowadays. Let’s make light of just a few of the most popular types that we typically see lurking in the wild. Malware could be installed on your system with nothing but malicious intent. Built solely to harm your system and destroy performance. Sometimes malware can make it nearly impossible to use your system and even allow other programs to more easily access your information and in extreme cases critical account information such as bank accounts and other very personal identifying data. Adware is built to advertise unnecessary software and services that can ruin your user experience. When you’re browsing the internet and you get random pop-ups and new tabs that you don’t want, you know you’ve been infected with adware. Typically they’ll be in the form of a certain software that claims to ‘Improve the Performance of your System’, but pop-up every 30 seconds requesting you to purchase it. These kinds of software are almost never good and are likely out to make a quick buck in a scam. Spyware is out there to get your personal information. Criminals can use this to steal your identity, passwords, usernames, emails, and other data/files that can be used against you with malicious intent. You wouldn’t want this sort of data to be leaked, so we take proactive measures to make an infection like this have a minimal effect on your system. One of the worst types of viruses, this encrypts your personal files so you can’t access them and requests certain funds to reobtain your files. Never pay these people and always contact a professional to remove the infection and decrypt the files. If your personal files, documents, pictures, etc. are important to you, it’s always a good idea to invest in a good backup solution that will make dealing with this infection a lot less time consuming and far more cost-effective. Rootkits disguise themselves as system files in order to run at an elevated position in your system. These can be extremely dangerous because they can do physical harm to your machine while the other types of viruses only damage the operating system. Several of these can lock your entire system with a password unknown to you, and completely lock you out of your computer and deny access to your data. Our virus removal experience covers the before mentioned and plenty of other types of infections that exist in the wild, with an incredibly high success rate of removal. The longer the system runs, the worse the damage could become. As soon as you realize that your system may have some malicious software on it, you should shut it off and allow our team of professional technicians correct the issue. Proactive protection is the best way to defend against the present dangers of todays always online & connect world. Having a good anti-virus solution set in place is the the first step to mitigate these types of situations in becoming a less of a normal occurrence. We have been repairing computers, laptops, Macs and mobile devices in Spring Hill and Brooksville since 2005. Hernando county is our home base where you can bring your computer to us. You can also have us connect for a remote service, or we will travel to your location no matter where you are. Call us for an in-store or on-site computer repair service now at 352.688.8011. Slow computer, freezing, viruses, broken screen, no power or not obeying commands we fix it all! Computers slow down when not maintained. They get sick when not cared for. We take care of it all. From cleaning up viruses, malware, spyware and preventing them to running routine maintenance as well as ongoing care. These are our most common computer repair services and we have built a foolproof method of detecting and eradicating any and all infections. Once the computer is free of bugs we run our full tune up service restoring the computer to its maximum performance. Laptops and mobile phones and tablets travel with us and are exposed to some harsh environments. We see broken screens and laptop that no longer charge nearly every day in our shop. The replacement is almost always a far better price than replacing the system. Repairing a laptop that doesn’t charge it’s battery can be under $100. Bring it in and let us take a look at the damage. We can give you an estimate based on the damage both outside and within the device. Many times cables get damaged when the glass or plastics break and we look for those details so you can have your device back as soon as possible. Open a support ticket or call to schedule an appointment and save some cash. Have a question? Just call us! We take the time to help over the phone as well. Anything that troubles you about your computer, laptop, Mac, iPhone or Android will have a solution. All it takes is making the call. If you don’t know what to do, just call us and explain what you are experiencing. We will guide you to the best solution whether it be guidance over the phone, a remote support service, an in-store consult or on-site service call. Schedule your appointment now with our friendly technicians and support staff. Submit a Quick Support request right from your desktop! As part of each service performed by Computer Corrections, we install a free program called The Informant. Our program will alert you to any issues that may arise. To immediately contact us for help, click Request Service and enter your contact information. We’ll get in touch with you to discuss the best solution. Includes The Informant, a Windows App for communicating with a technician at any time, and desktop notifications when an issue is detected. Includes the Basic Package features, plus Technician Monitoring so the technician can proactively see the issues as they occur, rather than waiting for the issue to cause bigger issues! Plus 50% off any technical support tickets. Includes Basic and Monitoring features, plus Anti-Malware/Virus, which is managed Computer Corrections. You will have peace of mind knowing that you’re provided with the best AntiVirus solution on the market and that you’re always secure. Finally our full support package! Includes Basic, Monitoring, and Managed Anti-Virus features, plus unlimited tech support. Unlimited Remote Support, Unlimited Tune-ups, Unlimited Virus/Malware removals, and 50% off onsite hourly service calls for the length of your subscription. Add our Managed Backup solution to any of the above packages. Protect your data! Backup all of your documents, photos, music collection or videos with our cloud backup storage monitored and maintained by Computer Corrections. Multiple packages available starting at 25GB! If you need full system backups our software can be expanded to meet your needs. Please contact us to schedule an inspection and quote. 3rd Party software – Any software that you would like to purchase that is not included in the above packages. Data loss can be catastrophic to your company! Failing servers, hard drives and malicious attacks can leave you out of options and in an extremely sensitive situation when it comes to running things smoothly. CompCorrect’s Data Recovery is here for you, our engineers are able to recover data from a wide variety of setups such as hard drives, solid state drives, external hard drives, and hybrid drives. We use an extensive set of tools and skills in order to achieve the most satisfying results. There’s only a limited amount of time and effort you can spend during this kind of process to ensure no more mission critical data is lost. Ensuring the best route is taken the first time, is what we can offer to make sure that the highest success rate is achieved. A Redundant Array of Independent Disks (RAID) Array can be setup in several different ways ranging from a stripe, where data is saved across all disks equally, to a triple parity where there are fault tolerances to lose disks. How RAID Volume Recovery works is pretty complex and makes it a little more difficult to recover the data opposed to a single hard disk or storage device. Failure of a RAID array can be caused by several events such as a failing drive, bad RAID controller, or even a simple bad cable. 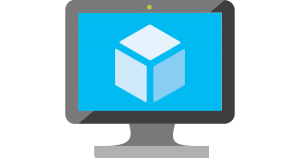 The best practice here is to provide us with all the member disks of the RAID array and the controller used, then we can recreate the environment it was set up in and recover the array to a point where the data can be extracted from it. We also offer Cloud Backup and Storage that is fully compatible with data stored in RAID arrays and can help avoid disaster in the future. We have experience with RAID arrays utilizing several different types of file systems and partition structures such as FAT32, NTFS, MBR, GPT, ZFS, etc. being used on MacOS(X), Windows, and Linux/Unix based operating systems. No job is too big or too small, if your data is important, we can help you get it back. Recovering data and files from a single media such as hard drives or solid state drives are by far the most common data recovery service we see. We can perform a recovery on files that were either deleted, corrupted, or stuck in a damaged hard drive. 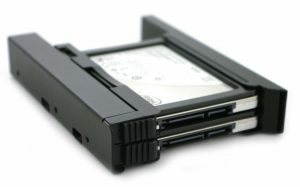 Failure of mechanical hard drives is more common due to the friction created by spinning disks, and most of the time replacement of certain mechanical parts can make the data recovery process simple. Solid State Drives whether SATA, mSATA, or m.2 don’t experience mechanical problems, but experience wear on the cells making the recovery process slightly more complex but very possible. 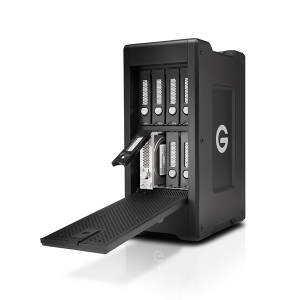 All other single media storage devices can be recovered as well such as Flash Drives, External Hard Drives, and much more. Performing incremental backups of these devices can avoid having to go through the data recovery process as well as minimalize data loss. If you’re experiencing what may be a failed drive, whether it be unresponsiveness or odd noises coming from your system, we recommend shutting it down immediately and scheduling an inspection. When handling this tricky topic, we always follow best practices, and you should too. Many companies of all sizes use specific databases as a backbone for business, storing the data they need in a format that makes it easy for employees to access. 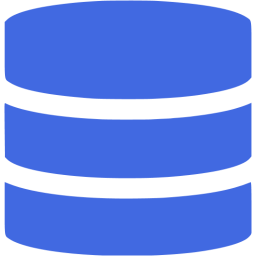 Many events where a database has any sort of failure and/or data loss can lead to catastrophic effects on the company. We can assist in recovering lost data from a database as to help in the rebuilding process with our Database Recovery service. Restoring chunks of the original data can help achieve a satisfying result to bring the database back to life, no matter how it was originally stored on drives. We analyze the original setup and try to get it back to a state where it was functioning properly. It is important to recognize when there has been a database failure so operations on it can stop as to prevent overwriting any lost data. Our Cloud Backup and Storage solutions can help prevent data loss by constantly backing up important database files to a cloud infrastructure to be restored in the event that data loss or hardware failure occurs. It is important to have certain processes within a business streamlined and the need for Database Recovery can be prevented by taking proactive measures in your network infrastructure. The extremely knowledgeable staff at CompCorrect can recover data at an extremely high success rate. This allows you to know that you have a professional team working to solve your problem. When handling data for certain firms it is important to follow certain HIPAA compliance and encryption laws to keep data secured during the whole recovery process. Our certified team of engineers can achieve just that. Again, there’s no room for margin of error when it comes to data recovery, our engineers will use the extent of their critical thinking abilities to make sure that the least amount of damage is caused during the data recovery process, especially with failing drives. Data loss can be a headache, but with our speed and efficiency, we can make it much less of a hassle. This service is best paired with Enterprise Security and Cloud Backups and Storage, these can save you a hassle in the future. Your data is important to you, and we can help make sure that data loss is a thing of the past. The security of your business is at risk! You wouldn’t leave your home unlocked throughout the day, so why do it to your computers? CompCorrect’s Managed Enterprise Security and Anti-Virus Services are constructed just for this purpose; to protect and to serve your Small, Medium or Enterprise level business when needed most. The professional, certified staff at CompCorrect have designed this system exclusively for a budget-respected, entry level security system that revolves around a production environment. In the end, this isn’t security for your computers, this is security for you. 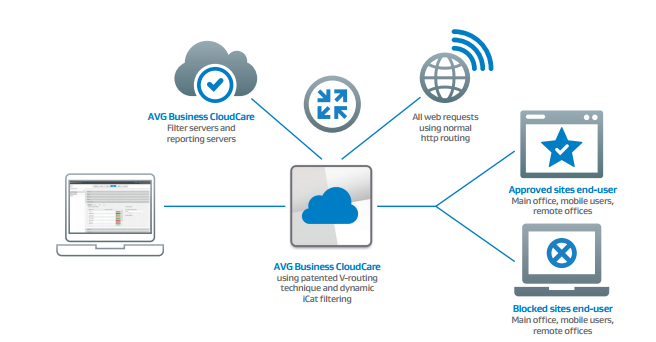 What does having our CloudCare Anti-Virus mean? Direct integration with our flagship product AVG AntiVirus – the internet security solution trusted by millions of users worldwide. A central management platform alerts us to issues and enables us to push policies and updates across accounts easily and efficiently. Aside from this protection being up-to-date and extremely efficient at detecting threats, it’s just as effective whether your systems are on the network or on-the-go. Everything will run in the background, and won’t affect the user unless a real, malicious threat is detected. No need to worry about pop-ups and license verifications that can affect productivity in today’s businesses. Make annoying anti-viruses a thing of the past and move onto a streamlined product that’s built for you. Alone, this package is enough to increase your basic security standards exponentially. Absolutely nothing is more important to us than your company’s safety and computer system reliability. Remember, don’t leave your home unlocked. Give your business the best, go with CompCorrect. This premier enterprise security can be used hand in hand with other great business services such as Email Encryption and Cloud Backup and Storage to help ensure that your data doesn’t get into the wrong hands. Identity Theft and Security Breaches will damage your business in an instant! However, we can now offer and deliver comprehensive email protection with our AVG Encrypted Mail simply, effectively, and profitably. This service is a secure cloud solution that allows us to encrypt all outbound emails based on their content, the sender or the recipient. In fact, its unique Inbox-to-Inbox communication eliminates the need for you to build and maintain your own encryption keys. Is Email Encryption for you? Using a cloud-based secure network, you would be using the same system that global financial institutions use for themselves. 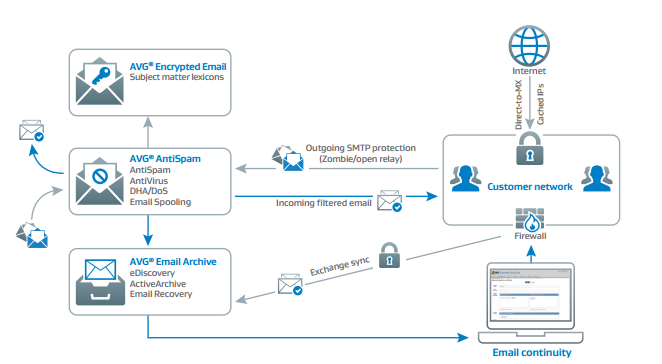 Also, all outbound emails are encrypted against bespoke user-defined criteria that are automatically applied to all device and smartphone communications. By reducing complications and security breaches within your business, you can also remove potential costs and disruptions that would come from being involved in disaster recovery activities. Also, just like all of our other services Email Encryption can be installed and updated easily and automatically, saving you time and costs. Reinforce your reputation as a safe and secure business. First and foremost, your client’s data is important. It’s our goal to help you keep it safe from any and all threats. Furthermore, the ability to say that you have proactive threat measures such as this acting in your business will let your clients know their data is safe with you. Email Encryption is a great addition to your business in security and reliability. Let your customers that they can trust you with their data, and avoid breaches in your businesses network. In conclusion, this is a great service for any business. Pairing this with other forms of enterprise security can reduce risks overall and lead to a great environment with great uptime. You’re losing time and money when it comes to your employees’ access to needed applications! Productivity and availability are what makes your business smart. Our simple, yet powerful Secure Single Sign-On (SSO) service eliminates the need for multiple passwords. This service succeeds to make the accessing and managing of SaaS (Software as a Service) and mobile applications secure and efficient. Our Single Sign On option is a trusted cross-platform service that supports all your compatible devices in one place, supporting all OS: Windows®, Mac®, iOS and Android™ devices. What can your business expect from this service? A single password provides access to all the apps that your professional staff uses; whether they are on their desktop, laptop or mobile device. Identity management, mobile device management, and mobile application management are unified. The IT control of cloud and mobile applications on all devices is centralized. This makes handling all sign-on procedures not only simple but safe for your company. Multi-factor authentication adds protection to ensure a secure log on from anywhere, and on any device. Making productivity simple and profitable. Valuable IT time and resources are freed up by the reduction of demand for password resets. This means increasing productivity for you and your clients. The knowledgeable businessperson knows that having a highly effective and productive staff is everything. Our Secure Single Sign-On service provides a solution to minimalize margin of error and make the workplace more progressive and productive. This service is for the business that has an ideology of success and can be paired with other secure additions to your network such as Email Encryption and Content Filtering. All of this can make for a very fast-paced productive environment sought out by only the best in business. Your company is losing productivity when employees shop and social network while on the clock. Our supported content filtering service allows you to increase your companies productivity with advanced, real-time content filtering and the ability to block access to the websites that drain time and money from your business. What can be achieved with our content filtering service? Our AVG Content Filtering helps you drive productivity by limiting access to social networking, searching and shopping to approved times. Also, because less bandwidth is being absorbed by personal use, that means more speed for business tasks. It’s quick and easy to do with out-of-the-box templates for quick and automatic policy settings. So no worries of rerouting traffic or other methods that decrease internet speeds. Know what’s happening on every device, at all times with instant alerts by email. Set flexible policies for in the office, at home, or on the road and allow employees to specific sites. With real-time policy updates, management of this service couldn’t be simpler. This service isn’t just to internally increase productivity, but also to serve as an extra wall of defense against outside threats. Therefore, Content Filtering prevents users from bringing security threats into the business by automatically blocking a list of sites that are known to be malicious. Also, allows to automatically block sites by category and use flexible Block/Warn Only/Allow options to control the risk. Aside from the basic idea of content filtering, this service and prove to be a great addition to your network. All things considered, increasing productivity and blocking threats is what makes your business reliable and safe. This is can be an amazing failsafe method of protection when constantly paired with a good enterprise anti-virus and consistent cloud backups. The internet is a home to most of today’s modern threats, and having a good first line of defense is the best way to prevent common problems from happening to you.